05:27 – Would you like to improve your Forex trading? 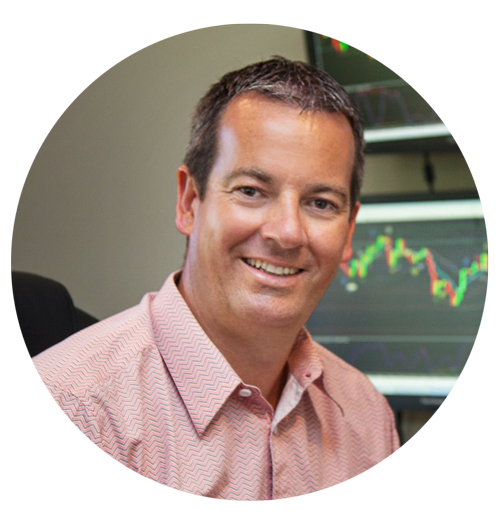 I'd like to talk about how has your trading been in 2015 and what would you like to see improve or change into 2016. Let's get into that right now. I'm Forex trader's Andrew Mitchem, here, the Forex trading coach and this is my last weekly video and podcast for 2015. I'd just like to say thanks for everybody whose been following me on YouTube, on my website, on iTunes, Android, on podcasts. However you‘ve been following along, great to have you along. Hope that you've really enjoyed these videos and podcasts. Judging by the feedback, people are just loving them, so great job and always continue to let me know what subjects you'd like me to talk about. What I'd like to finish on for this year is just to give you an idea of some of the amazing results that clients have been getting through my coaching program. I held a webinar just this time last night and like to go through and talk about some feedback I've had from clients just on a webinar that I held yesterday. I've got some information here, some printouts. I'd just like to go through and read them to you, because as a coach, I get really excited and absolutely thrilled by the results that people have been achieving. Because, let's face it, people are putting in a lot time, a lot effort and a lot money up front to come to me and they could go to a number of Forex coaches out there and training programs, but they've decided to invest in my and my services and my course and strategy. The results are just absolutely overwhelming. These have just been received this last week. Lucia said, “Andrew, I wanted to let you know this month I‘m up a 9.4% return on my capitol.” That's one from Lucia, there. Benjamin, now this is a really interesting one. Just to let you know at the beginning, Benjamin is risking a higher percentage that I might risk myself, but he said, “Andrew, first of all, thanks for you effort to create the opportunity to become a profitable in Forex. I'm trading your method for a year now and it's a great time to share my honest opinion. Simply said, I generated 243.17% real profit.” Just outstanding. Like I said, the risk is 6% per trade, which for me is a little bit too high, but Benjamin over in the Netherlands is happy with that. Like he said here, he's trading pullbacks on the hourly, daily, weekly, monthly time frames. Far safer way to trade greater reward to risk ratios. 243.17% return, just outstanding for the year. John over in Whales, “Andrew, getting close towards the end of the year, just wanted to let you know I've made a 9% gain on my accounts so far this month on a live account.” Thank you for that, John. Like I said, these have just been received this week. Mike over in the U.S. said, “Wanted to share this trade with you on the 1 hour chart, British pound, Japanese Yen. Had a 70 pip stop loss twenty nine profits high, get 1.7 to 1 reward to risk.” If he was risking 1% of his accounts, made 1.7% on one trade. Chris over in Australia, “Andrew, I took a trade on the British pound, New Zealand dollar as a buy trade. You suggested that on the daily suggestions. On the four hour chart trade, I saw a trade took. It his full profit over night Australian time, while I was sleeping. 4.2 to 1 return trade.” Puts trade on in the evening in the European session, wakes up in the morning, Chris over in Australia, 4.2 reward to risk trade there. You can see, just amazing trade. This was a fantastic one, this is from Collin down in Wellington in New Zealand here. He sent me a print out here of his trades that he's taken just in the month of November. Thirty three trades and he made an incredible 51% gain on his account. The interesting thing is that, and I shared this with my clients last night on the webinar, is that Collin's been with me since November 2012. It just goes to show that some hard work, dedication and perseverance really does pay off, because I know, Collin, you've had some real struggles. You've had times where you've sent me many losing trades, but you've stuck at it, you've persevered and now you've just made 51% account gain on a live account just in the one month. That's just incredible. That is with very, very low risk trading because I can see all the trades here. They've all got stop losses and … Excellent trades, well done, Collin. The final here from Jonathan, “Andrew, really happy to say I'm 6% up on my live account for the month, whilst working full time, picking a few daily charts, twelve, six, four hour trades. I'm feeling really confident with my trading. I'm not letting the charts and trades run my life. It's so easy to get too involved watching the charts all day long. Have a great Christmas break.” That's from Jonathan. That's just what I've received just in this last week that I've read out to clients on the webinar. That's what people are achieving. Would you like to improve your Forex trading? If you'd like to know more or you'd like to improve you trading to get to those sort of levels, then what I'd suggest you'd do is just either contact me or, if you're watching this at the beginning of the next week, just a few more days to go of my Christmas sale. As I'm recording this, there's five days to go, so by the time you watch this, there may only be one or two days to go. Get into that Christmas sale if you can. Three different ways of joining. Discounted rates. Just to really help you with you trading into 2016 and beyond. Finally, I'd like to say thanks very much for following, again. I hope you've really enjoyed these session. Hope you have a really enjoyable and relaxing Christmas time. I'm really going to enjoy having a few weeks away from no trading at all. I'm not starting trading until Monday the 11th of January. There's just no point over those few weeks where the volatility could be all over the place, could be very thin, you just don't know over that Christmas-New Year time. Just enjoy a few weeks away from the charts. I'm going to be flying my helicopter as much as I can. Going to do lots of stuff with the family, with the kids. I've got family coming from overseas to visit for Christmas. Lots of barbecues, lots of swimming, lots of beaches and just get away from trading for a few weeks. Recharged the batteries, get back into it in 2016. Have a fantastic Christmas. Happy New Year. Be safe, have fun, see you next year.